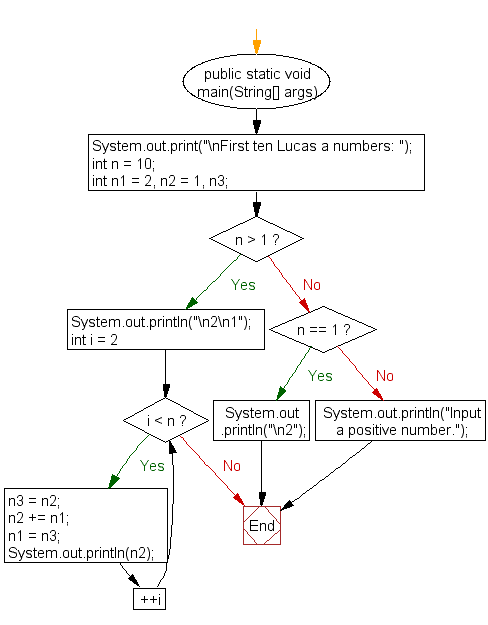 Write a Java program to display first 10 lucus numbers. The Lucas numbers or series are an integer sequence named after the mathematician François Édouard Anatole Lucas, who studied both that sequence and the closely related Fibonacci numbers. Lucas numbers and Fibonacci numbers form complementary instances of Lucas sequences. The sequence of Lucas numbers is: 2, 1, 3, 4, 7, 11, 18, 29, …. Previous: Write a Java program to generate and show the first 15 narcissistic decimal numbers. Next: Write a Java program to print out the first 10 Catalan numbers by extracting them from Pascal's triangle.